Canon has unveiled a new, full-frame mirrorless camera, dubbed the Canon EOS RP. The new model is to the previously-announced EOS R, what the Sony a7 is to the a9 — competitively priced, pegged squarely in a hotly priced segment that sees massive traction among consumers, and bringing most of the flagship features. 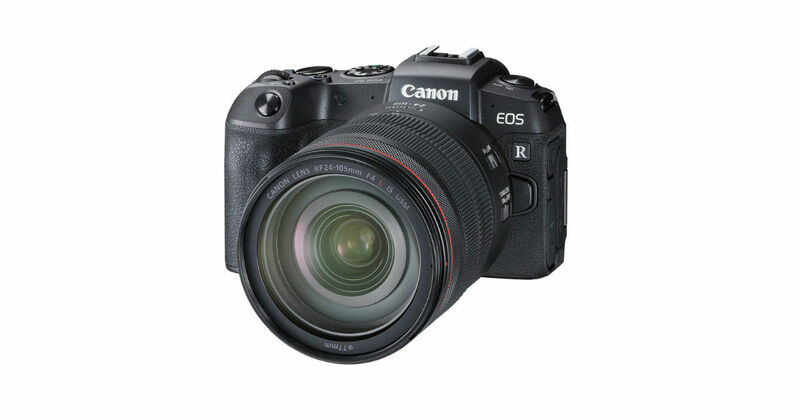 What makes the EOS RP of particular consumer interest is its pricing — beginning at $1,299 (approx. Rs 92,400) for the body and kit lens packages beginning at $2,399 (approx. Rs 1,70,700) with the RF 24-105mm. In terms of specifications, the Canon EOS RP is powered a 26MP full-frame sensor, in place of the EOS R’s 30MP one. This does not bring in a whole world of difference in terms of mainstream, everyday usage, but does take away the high resolution professional photography abilities of the EOS R. It gets the new DIGIC 8 proprietary image processor and retains the Dual Pixel autofocus mechanism that should provide great results in this camera as well, particularly with the faster Canon lenses. The Canon EOS RP, however, still applies 1.7x sensor crop for 4K video recording, to reduce buffer times and allow faster shooting. This in itself might create a bit of an issue for prospective videographers, although the EOS RP is not entirely meant for videography from scratch (think of it as the 6D Mk.II-equivalent of the mirrorless full-frame range). The 4K recording here is also restricted to 25fps max and 8-bit, 4:2:2 supersampling — definitely a limited specification for professional videographers. Native ISO goes all the way up to 40,000, which should theoretically be good enough in low light. One might, however, argue that the EOS RP still provides the near-optimal balance for the average semi-professional user producing the odd white-label video content, since full HD videos can still be produced at higher frame rates. Other features include a 0.39-inch OLED electronic viewfinder, a 3-inch tiltable LCD live display and a 485g CIPA-rated chassis. You get UHS-II memory card compatibility, and for the initial days, the EOS RP will be sold with bundled extension grip and mount adapter for compatibility with EF-mount lenses. That said, it is important to note that all of these lenses (save the RF 24-240mm one) are fast, professional-grade lenses, and would in no way be really affordable. This is somewhat at odds with the EOS RP’s body price, which is probably also why one of Canon’s optional bundled kits include an EF 24-105mm STM lens (to be fitted with the in-kit adapter). It isn’t entirely clear if Canon will introduce more affordable RF lenses later, or rely on its vast EF lens repository to fill up consumer demand. The Canon EOS RP and the new RF lenses will be available for purchase from next month, and if you purchase it within March, you will also get a $200 discount on the bundled kit prices. As of now, it is unclear when Canon will launch it in India, although its mid-range positioning will certainly appeal to many prospective users in the country.